A romantic affair he had with a young girl artist brought him closer still to the world of painters. She's not named, someone on the Internet claims (I don't remember where) because the book was originally published when Valadon was still alive. She died in 1938. It seems there is a graphic novel about Satie out there. 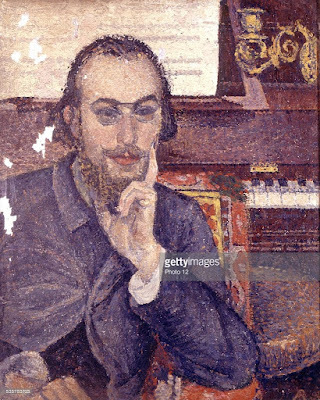 I suppose if I want real information about their relationship I will have to shell out 77 bucks to buy Correspondance presque complete (Almost Complete Letters) of Satie. It was published in 2000 and it still isn't translated into English yet. I guess I'm going to have to be the one to do the translation myself. In about a year I'll be fluent enough in French to do a good job of it. et tes petits pieds d’enfant. Toi tu es heureuse ; ce n’est pasma pauvre pensée qui ridera ton front transparent ; non plus que l’ennui de ne point me voir. 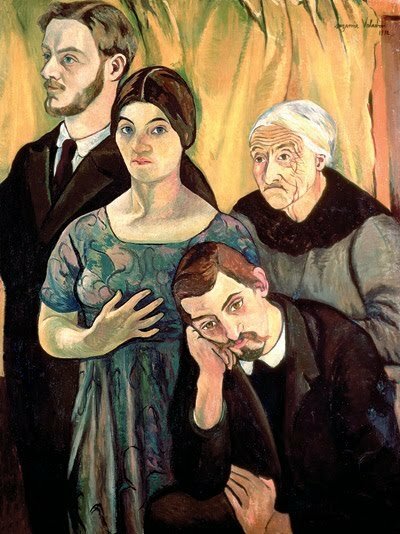 et de la tristesse plein le cœur. faire ce que tu veux.Tu vois, petit Biqui, qu’il y a commencement à tout. Je t’embrasse sur le cœur. and your little child's feet. nor the boredom of not seeing me. You see, little Biqui, that there is a beginning in everything. I kiss you on the heart. 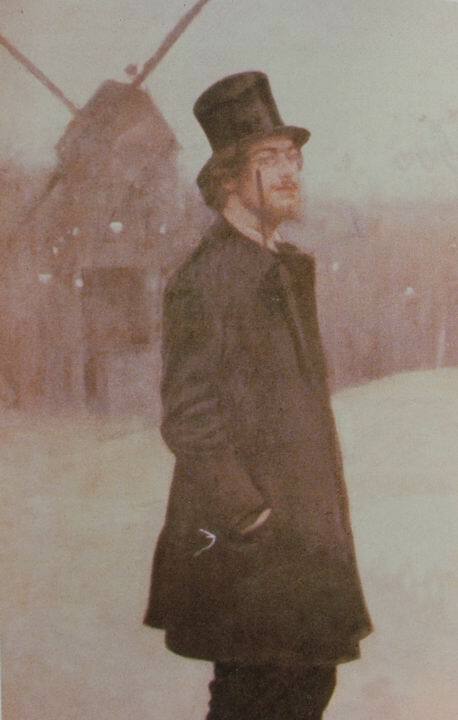 There are many of images of Valadon too, but many of those are painted by herself.